Look what's coming in September. 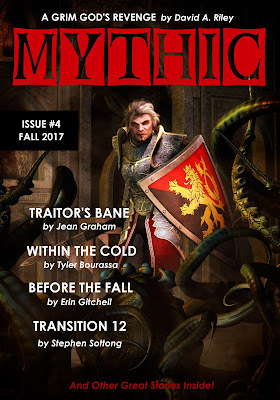 MYTHIC's fourth issue is set to debut and with that we have completed our first year. It's a wonderful milestone, but it is only the start of MYTHIC. Even now, a subscription drive is in full swing and we've added new subscribers and a few of you have renewed for year number two. Thanks to you all for your interest and your support. The primary goal of our drive is to increase the pay rates for our authors to pro levels. A tall order? Yes. But, we will get there with your help. So, consider subscribing or if you have already share this with those you know who like great science fiction and fantasy stories. Support Mythic! Buy A Book! 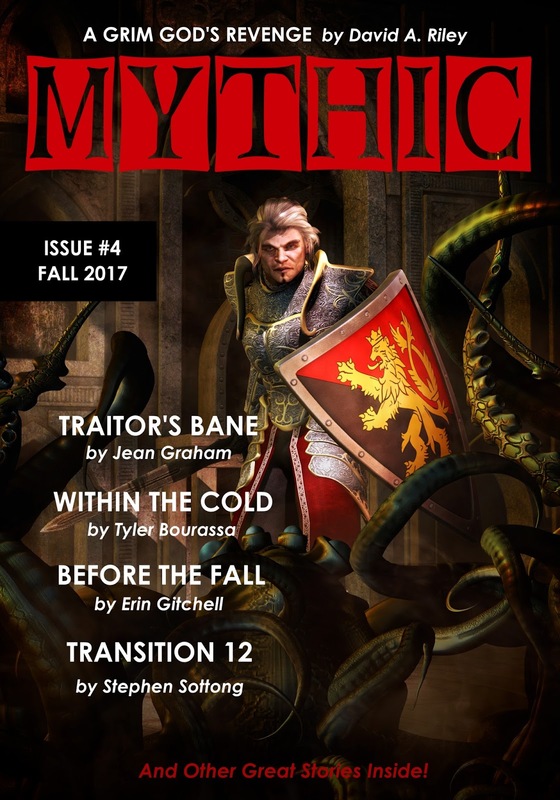 All material unless otherwise noted is Copyright © 2017 MYTHIC Magazine. Simple theme. Powered by Blogger.